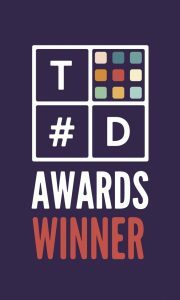 The #TechDiversity committee is very pleased to announce the winners of the inaugural #TechDiversity Awards 2016. A total of 12 projects/initiatives have been recognised as #TechDiversity Leaders across the four categories of advertising, government, education and business. The submissions were assessed according to expressions of behaviour, initiatives, commitment and courage — key touchstones to embrace inclusion and drive diversity. Diverse City Careers has turned advertising and recruitment on its head by evaluating clients based on how well they support women in the workplace. Research points to businesses being more profitable when there is a healthy balance of women and men in leadership; Diverse City Careers is on a mission to disrupt the job advertising market by elevating companies taking this seriously. Melbourne Knowledge Week (MKW) is an annual multidisciplinary and cross-sectoral festival delivered to showcase the knowledge sector’s diversity and innovation. A focus on diversity, inclusiveness and accessibility (across age, culture and gender) ensured a balanced program and media representation, with 56% female attendance from 10,000 attendees. As the only female CIO across all Victorian government departments, Claire Foo is crusading for strong representation of women at management levels – not only within information services divisions, but more broadly across DELWP and all state government departments. A role model for all within the department, Claire actively lives the values of inclusion and gender equity. Women in CenITex is a forum which provides networking and development opportunities to support the careers of women in CenITex. It creates a positive network for women across the business to learn, share, and support each other; to increase confidence in themselves and their ability to be heard; as well as to create opportunities to increase collaboration across CenITex, moving the organisation towards being best practice for gender diversity. Melbourne RoboCats is an all-girls robotics team competing in the international FIRST Robotics Competition (FRC). Targeted at increasing secondary school girls’ participation in science, technology, engineering and maths (STEM), this initiative provided an opportunity for school girls without prior programming or robotics knowledge to work alongside industry and university mentors. The team is self-funded to ensure that it is accessible to all girls, without any socio-economic barriers. Founded to combat the growing unease about the shrinking number of women remaining in and entering the IT industry, RailsGirls is a free, biannual, two-day event open to any female who would like to learn to code. It represents a commitment to positive change for women in IT, and includes educational workshops, industry engagement, mentoring opportunities, recruiting pipelines and publicity. outreach activities directed at high school girls and first year female undergraduates that provide opportunities for young women to give IT a go in a non-threatening environment. Code Like a Girl is an organisation focused on increasing the number of females in technology, and provides girls with the tools, knowledge and support to enter and flourish in the world of coding. It has created and now runs a series of tech-focused events and workshops around Melbourne, bringing together tech talents and girls who are passionate about coding and technology to learn, connect and celebrate each other’s achievements. The Yield is an AgTech companying using Internet of Things (IoT) technology to help growers improve business practices. With inclusion and diversity built into the fabric of the organisation, The Yield’s target is for at least 50% of staff and consultants to be women. Diversity in all its forms – age, race, ethnicity, religion, sexual orientation and disability – is also highly valued. Spanning all members of the organisation – across the Board, leadership team, staff, consultants, collaborators and customers – the ‘Diversity. We Live It’ initiative covers five key areas: (1) Leadership (2) Family Friendly Work Environment (3) Recruitment, (4) Creating a Diverse Talent Pipe Line and (5) Creating The Right Culture. Software design company Thoughtworks is taking deliberate steps to bring gender diversity into direct business focus, and has a mission to be leaders in addressing and changing the industry. In order to improve gender diversity, ThoughtWorks implemented various initiatives, including a focus on gender equality in recruitment, detailed gender remuneration analysis, internal policies and communities, and Women in Leadership Development Programs. NAB’s Women in Technology Program (WIT) is aimed at creating sustainable change for diversity and inclusion in the IT industry and demystify what it means to work in technology for women. WIT is supporting and encouraging women to build confidence and resilience, inspiring them to chase their passions and dreams, and to take the leap into technology roles. WIT also helps women gain support networks and meaningful career experiences. At the same time, WIT asks women to ‘pay it forward’ and make a difference for others too. WIT has made an impact on the entire NAB organisation by encouraging and supporting men and women at all levels grow and to support a more inclusive workplace. A team of women from the Australian Computer Society and the WA tech community leveraged their combined power, skills and spare time to engage with the broader tech community and work towards the shared goal of encouraging more young people and women into the tech industry. They focused on building community and addressing different avenues of outreach through schools, universities, TAFEs, industry events, hackathons, games jams etc.